The establishment of St Paul's College in 1851 began the Church's ministry in education. 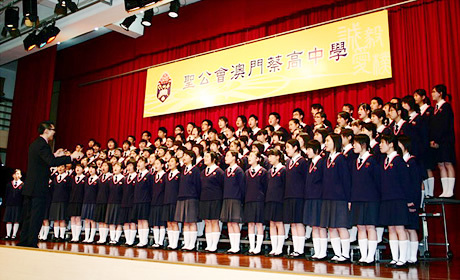 Throughout these 160 years, HONG KONG SHENG KUNG HUI has established more than a hundred kindergartens, primary and secondary schools, and tertiary institutions to cultivate Hong Kong contributors. School for special education, religious education and ministries have also been operated. Ming Hua Theological College offers training to clergy and lay leaders. The Anglican Church offers education services in Hong Kong and Macau based on Christ's spirit of teaching, and has a vision to cultivate holistic students who become contributors to society with a balance in moral, intellectual, physical fitness, social, aesthetic and spiritual development. 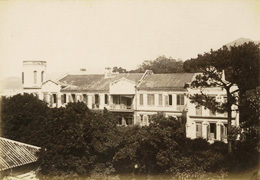 The first school of the Church was St Paul's College founded in 1851. Then, the Diocesan Boys' School, the Diocesan Girls' School, Heep Yunn School, St Stephen's College, St Stephen's Girls' College and other secondary schools were founded, and all have graduated outstanding members to society. The Church initially operated private schools to undertake primary education. In 1876, St Matthew's Primary School was founded. Then after the war, the Church started many primary schools and nurseries to provide education for the influx of school age children from China. These Church schools have brought about many leaders for the Hong Kong and Macau communities, and have become leading force in the field of education. SHENG KUNG HUI has always offered quality education services, advocating for the development of and playing pioneer and prophetic role in Hong Kong education. The Church at present operates two tertiary institutions, over thirty secondary schools, more than fifty primary schools, fifty plus kindergartens and nurseries, and one special education school. They are located all over Hong Kong and Macau. The Religious Education Resource Centre (RERC) is established to provide spiritual and religious learning materials for both students and Christians of all ages. The Centre also offers relevant training and resources to support teachers of Religious Education.